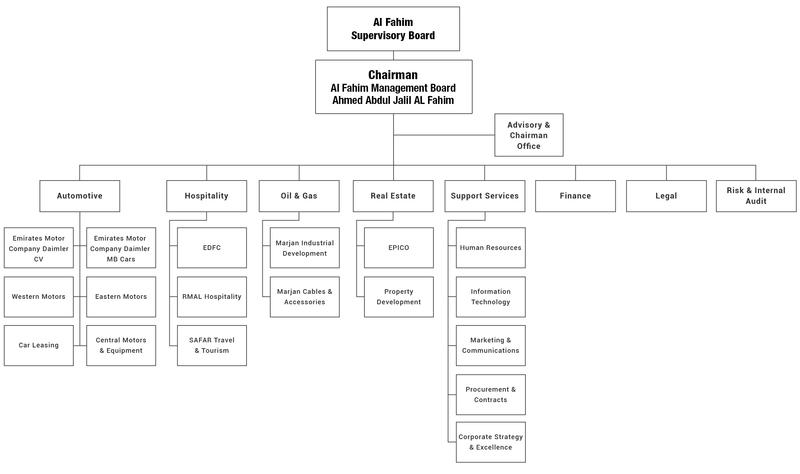 Good corporate governance is to conduct the affairs of Al Fahim Group in a manner that is consistent with best practice, legal requirements, ethics and the core values. We believe this means operating to a system which by definition encompasses all processes, customs, policies, laws and even includes people and institutions which affect the way a corporation is administered, directed or controlled. Accordingly in 2008, we formalized and aligned Al Fahim’s Corporate Governance framework to the UAE Securities and Commodities Authority (ESCA - Decision No. R/32, Corporate Governance Regulations for Joint-Stock Companies and Institutional Discipline Criteria) Regulations and implemented all material requirements ahead of the 2010 deadline, 2 years ahead of schedule.